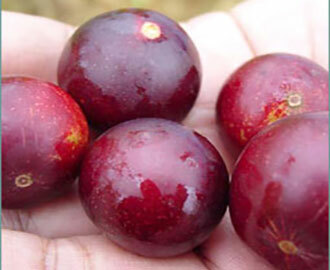 The camu camu berry is quickly gaining popularity as a top super fruit variety sourced from one of the most nutritionally dense regions of the world, the nutrient-rich soils of the Amazon rainforest, a virtual treasure chest of many superfoods and herbs. 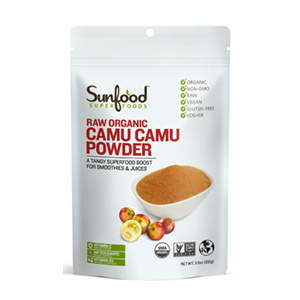 Used by native cultures of Peru, Brazil, Ecuador and Columbia as a medicinal food source, camu has only recently become recognized as a highly valued dietary supplement to the world-wide health community for its exceptionally high amounts of certain antioxidants. The berry was discovered in the 1950's to have one of the highest natural sources of vitamin C of any known plant-based food. 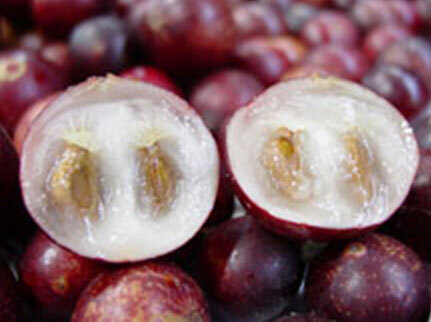 Also called "cacari" or "camu", the berries look like a small plum-like red-purple fruit and have a whitish fleshy center. They are picked when ripe by Amazonian peoples and traditionally dried for storage purposes or eaten fresh, often mixed with other ingredients in sweet drinks or foods, as they have a tart, tangy astringent taste. 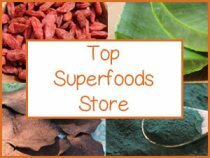 In other parts of the world they are exclusively available as a dried fruit powder which is an effective and convenient way to consume this potent superfood. 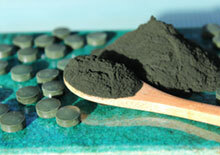 The powder is often a clay-orange color, a combination of the clear inner flesh and the outer skin pigmentation. 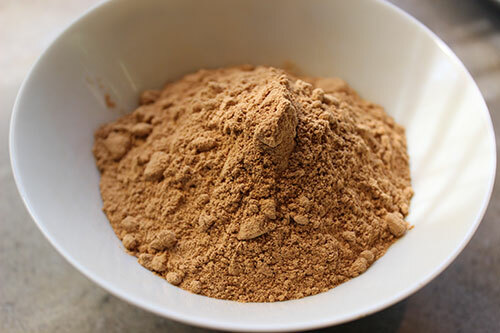 Camu contains a full spectrum of antioxidants, amino acids and bioflavonoids as well as a number of other important vitamins and minerals, including calcium, iron, niacin, phosphorus, riboflavin, thiamin and potassium. In addition to being a whole food vitamin C and ascorbic acid source, the skin of the berries are also rich in beta-carotenes and anthocyanins. The health enhancing components of camu berry (Myrciaria dubia) can be particularly helpful as a potent antiviral and immune system booster. Internal intake is also an extremely effective superfood for the eyes, skin as well as cognitive functions, assisting in the protection against autoimmune, degenerative and neurodegenerative disorders like chronic fatigue, macular degeneration and dementia. 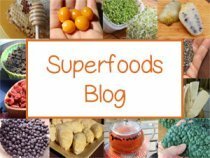 What is Camu Camu Berry? Camu camu comes form the Myrciaria dubia tree species which often resembles more of a bush than an actual fruit tree. It grows an average of 10-16 feet (3-5m) in height, typically in the fertile flood lands of the Amazon river basin. It is traditionally harvested via canoe as it tends to grow along the banks of these river locations. It is extremely adaptable to flooding and can actually survive under waterlogged conditions for up to 5 months. A fully mature tree will bloom tiny white fragrant flowers that will eventually grow to produce up to twenty-five pounds of fruit in one year. Because of its tart sour flavor, indigenous Amazonian peoples of the past only occasionally used the berries as a food source. Today, however, it is locally harvested among Amazonian communities and used as a highly nutritious food reserve, dried for later use or mixed fresh into recipes, such as jams, jellies, puddings or drinks. 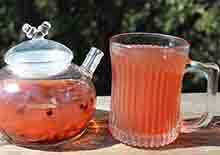 In medicinal folk remedies, the berry is known to be helpful as an antiviral for treating various infections. Aside from these local South American regions, the camu fruit was essentially unknown internationally until the early 1950's when it was first nutritionally analyzed by the Institute of Nutrition and the Peruvian Ministry of Public Health. These studies revealed an exceptionally high amount of vitamin C content in the berry, with results that documented 2800-3000 milligrams of vitamin C per 100 grams of pulp. Since these findings, camu camu has been valued as one of the highest natural plant-based sources of this all important antioxidant. It wasn't really until the 1990's that camu was made available on a large scale for commercial export. Japan has become one of the largest importers of camu camu as it has become increasingly popular as a multivitamin in energy drinks. In the past few decades the camu camu tree became part of a reforestation program initiated by the government of Peru, in efforts to conserve the natural habitat as well as provide local income for native populations. Because of the devastating effects of unsustainable Amazonian forestry and farming practices in the last 50 years or more, it is extremely important to purchase sustainably-grown products coming from these South American regions. Thanks to non-profit organizations like "Amazon Watch", there is greater regulation of the food crops exported from these areas. We recommend purchasing high quality organic camu powders that are wildcrafted or state "sustainably-grown" on their packaging label. 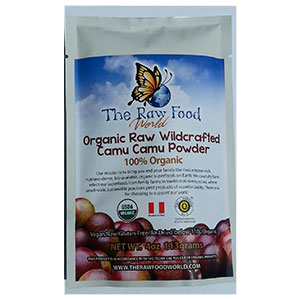 Wildcrafted camu products additionally support small farmers, cooperatives and indigenous communities. It is good to include lots of brightly pigmented berries in your diet, but it is also beneficial to consume an assortment of the "super berries." These are berries like maqui, amla, golden berry, goji, camu and acai that are particularly concentrated in antioxidant-rich nutrients that we all could use more of in today's modern world. Some of these super fruits might be more appealing to you on a personal level than others. 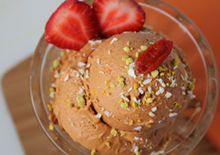 Camu camu and goji happen to be our two personal favorites that we eat on a regular basis. All of these berries offer extremely valuable nourishment for the eyes and skin, but also help to boost mental and immune functions as well as strengthen the bones and joints. 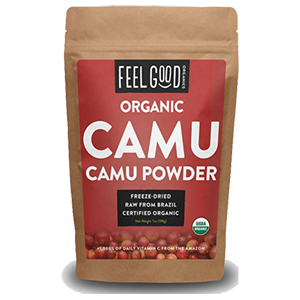 Camu camu berry is famed for its substantially high levels of vitamin C, ranking far above other botanical sources and super berries. According to a review published in the Journal of Food Research International, the vitamin C content of camu berry ranges from between 1,882 mg - 2,280 mg per 100 grams of fresh pulp. In addition, when camu is dried and the water is removed it further concentrates the vitamin C, producing a power packed powder. Because of this, a little bit of dried camu goes a long way nutritionally speaking. For most quality camu, it only takes about 1/4-1/2t to meet your daily requirements with one teaspoon of powder containing approximately 720 milligrams of vitamin C.
The average daily vitamin C requirement for adults is about 100 mg. One teaspoon of camu camu powder is about 240% of the daily recommended intake for vitamin C, based on a 2,000 calorie diet. 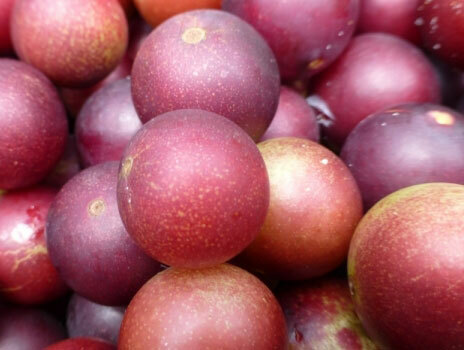 According to the article entitled "Camu Camu, A Promising Fruit from the Amazon Basin", it states that "The most distinctive feature of the camu camu fruit pulp attracting attention is its extremely high content of vitamin C.
Different authors report ascorbic acid contents ranging from 1000 to 3000 mg/100 g in the pulp. 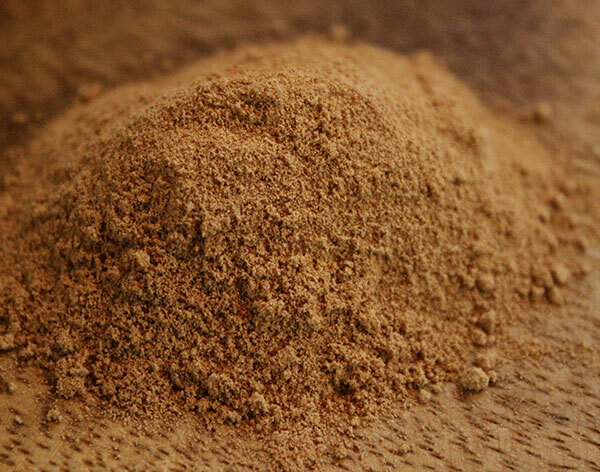 Compared to other natural vitamin C sources, camu camu shows the highest contents, by far." What is Vit C Good For? Antioxidants in the form of vitamin C help to neutralize the harmful effects of free radicals, preventing oxidative stress and significantly influence healthy immune response. 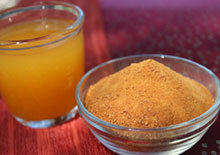 Natural vitamin C, like camu powders, are one of the best nutrients for the nervous system, brain and eyes. Vitamin C is a helpful ingredient for the biosynthesis of collagen, L-carnitine as well as certain neurotransmitters needed for optimal brain function. Vitamin C also promotes healthy bones, joints, cartilage, blood vessels capillaries and improves the absorption of nonheme iron found in plant-based foods. 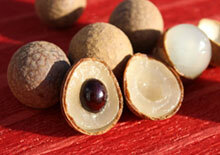 Moreover, it is also beneficial for breaking down cholesterol and increasing collagen for healthy vibrant skin. A deficiency of Vit. 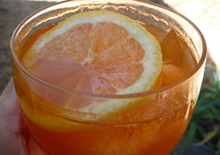 C (called scurvy) can cause various symptoms like bruises, weak connective tissues, mental weariness and general fatigue. 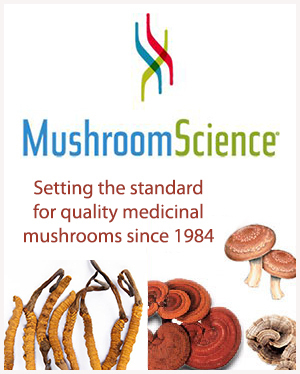 We always promote the use of natural full spectrum vitamin C over synthetic versions, which are strictly composed of the active ingredient known as ascorbic acid or "sodium ascorbate." 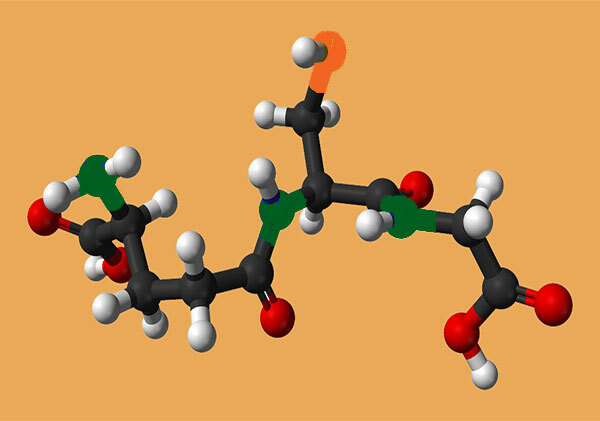 Ascorbic acid isolate is a highly unstable substance and pro-oxidant (the opposite of antioxidant) when used on a continuous basis. 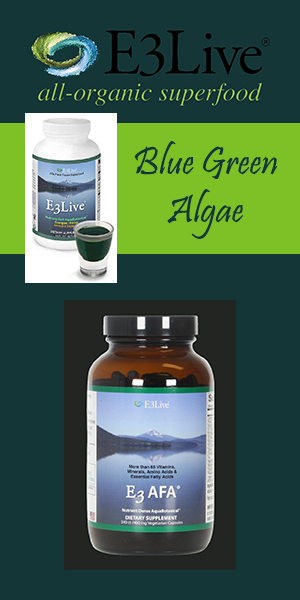 It essentially breaks down into oxalates in the intestines which can lead to oxalate stones like kidney stones as well as cause numerous health related problems. Many of the even "healthy" vitamin C supplements on the market, like those Emergen-C packets sold in health food stores, are actually unnatural synthetic isolates of ascorbic acid powder and we do not recommend regular consumption of such products. Genuine vitamin C is a complete and complex matrix of many different natural nutrients and compounds including co-enzymes, bioflavonoids and unique co-factors that help us absorb and effectively utilize ascorbic acid without causing harmful build-up in the body. 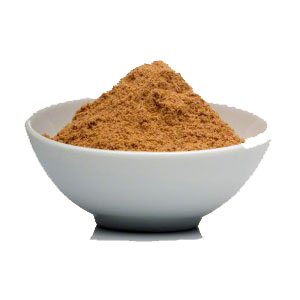 Camu powder is extremely concentrated. It takes approximately one hundred pounds of berries to produce four pounds of dried powder. 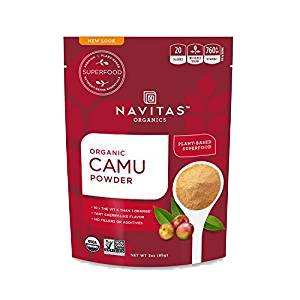 Compared to other vitamin C sources, quality camu berry powders also contain no fillers, preservatives or artificial ingredients, just pure straight freeze dried fruit concentrate. 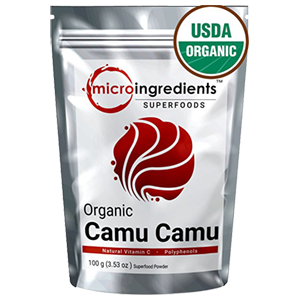 Camu is a much improved choice over synthetic vitamin C supplements as are the variety of super berries, acerola cherry, rose hips as well as other fruits, vegetables and ferments, like sauerkraut. Some health authorities believe that depression is not necessary completely caused by a chemical imbalance in the brain, but is a form of nutritional deficiency that can be corrected through proper nutrition. 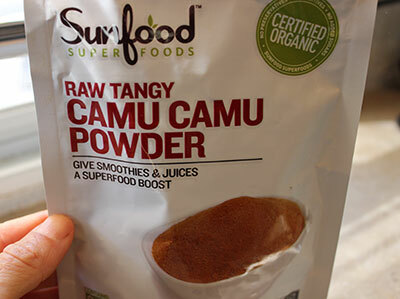 Camu camu-sourced Vit. C supplementation can nutritionally support and protect the nervous system, allowing the brain, eyes and all nerve endings to function at higher levels. 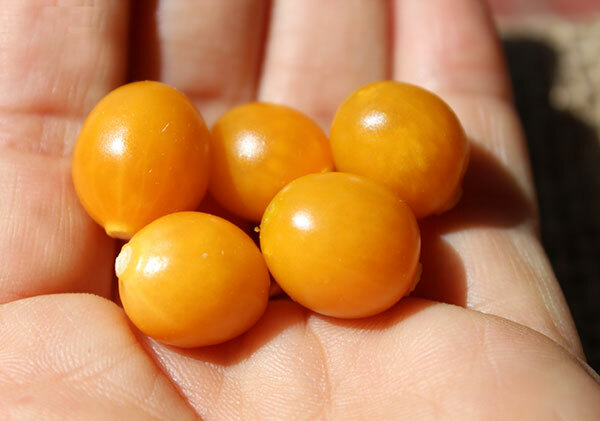 In addition to maintaining a health promoting diet that includes adequate amounts of omega-3 fatty acids, camu camu can also help guard against depression, memory loss and is believed to reduce the risk of neurodengenerative diseases like Alzheimer's, Parkinson's and dementia. Doses of camu mixed into water or drinks can encourage an increase in mental performance as the berry also contains the brain-boosting amino acid known as serine. Furthermore, research studies indicate that vitamin C is necessary to manufacture the neurotransmitter serotonin, which can help to balance mood and increase energy levels. 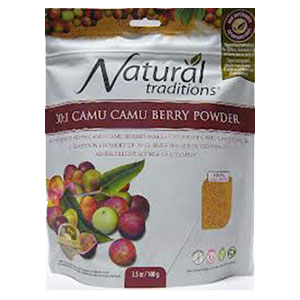 Camu camu berries are a nutritionally rich source of anthocyanins and beta-carotene. 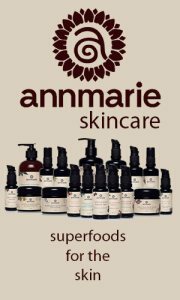 Anthocyanin is a natural antioxidant pigment found in the actual peel of the ripe berry. These anthocyanins vary depending on the regions that they grow but usually contain a number of anthocyanidin constituents, predominantly glocyanidin-3-glucoside and delphinidin-3-glucoside. 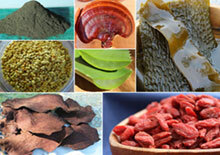 Anthocyanins and carotenoids, like beta-carotene, are typically found in a variety of super fruits and berries. 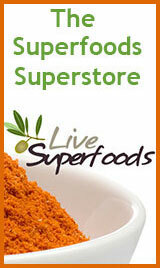 Beta-carotene is a red-orange pigment and is abundantly present in the camu fruit. Most berries in general are great for the eyes, but camu is our top favorite superfood for restoring and maintaining eye health. This is not only due to its exceptionally high amounts of vitamin C but also its levels of the above mentioned beta-carotene and anthocyanins flavonoid pigments. Consuming beta-carotene rich foods are believed to dramatically reduce one's risk of age-related macular degeneration and cataracts. Vitamin C, in addition to beta-carotene, is specifically beneficial for nourishing and protecting the retina and optic nerves. 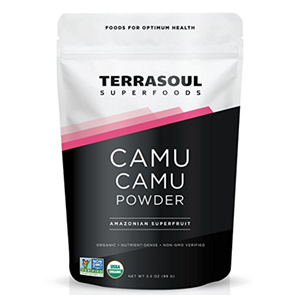 Camu camu powder is a super concentrated way to provide these essential nutrients needed for optimal vision during the course of our lifetime. Vitamin C is an essential nutrient for collagen formation and plays a significant role in the healing of wounds. Collagen gives skin its elasticity and its deterioration can lead to wrinkling. 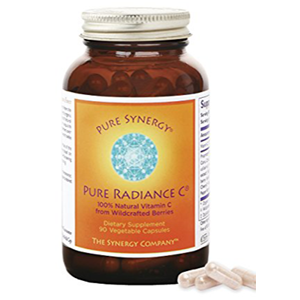 Vitamin C also helps regenerate other antioxidants including vitamin E, a favorable dietary ingredient for skin health. Likewise, camu's beta-carotene content helps to protect the skin against sun damage. 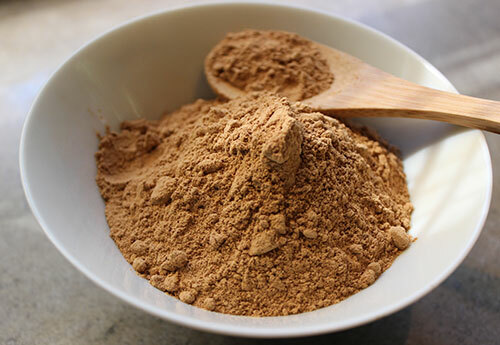 Camu camu powder can be used internally, along with MSM powder, to promote healthy collagen production and skin rejuvenation. 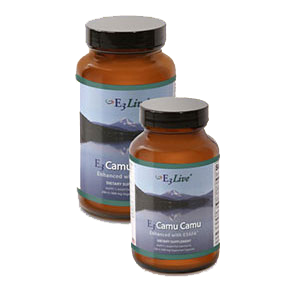 Camu camu benefits support the body’s immune defenses and help to prevent colds, flus and viral infections. Its concentrated amounts of full spectrum vitamin C help to counteract cold sore flare-ups and the powder has been used successfully as an anti-herpetic with the herpes virus. 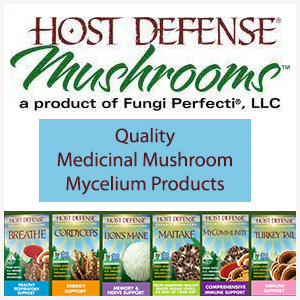 It can be a helpful nutritional component in the treatment of these viral diseases such as shingles, genital herpes as well as the Epstein-Barr virus. 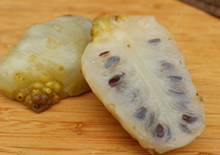 An antioxidant acid called gallic acid is also present in the berry that exhibits antiviral and antifungal properties. 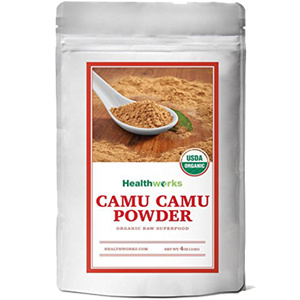 Consuming camu camu can be a natural remedy for inflammation related conditions like arthritis, atherosclerosis and high blood pressure. It is also significantly important to adhere to a anti-inflammatory diet high in whole plant-based foods, omega-3's and low in refined, processed foods and oils that are known to increase inflammation in the body. Camu berry is also a source of other viable nutrients such as: potassium, bioflavanoids, calcium, iron, amino acids (valine, leucine, serine), thiamine, niacin and riboflavin. 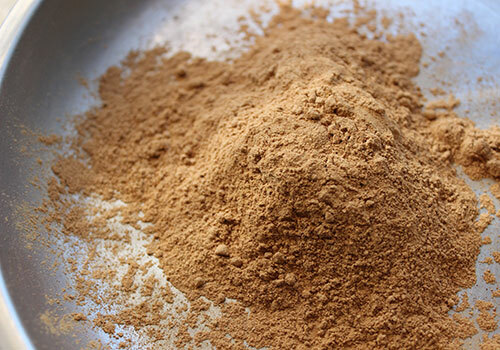 Whole Fruit Powder - Quality powders are slow dried at low temperatures below 118F and then milled into a fine powder. 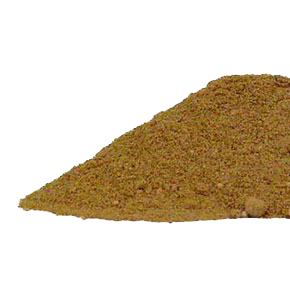 Freeze Dried Powder - These powders are freeze dried directly after harvesting to protect essential nutrients. 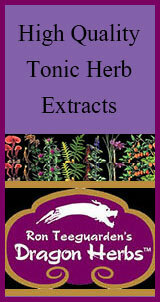 Capsules - The powder is also encapsulated for convenience and ease of use. Juice - This is made from either the fresh frozen fruit concentrate but is, most often, the powder mixed with water, other fruits and sweeteners. Frozen Berry Pulp - This is the fresh frozen deseeded fruit pulp. 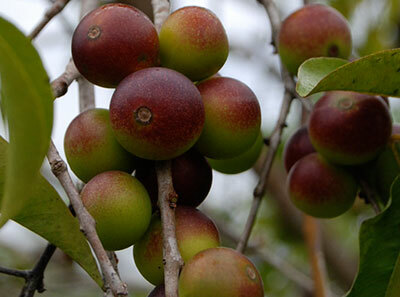 Fresh Berries - These are only available in locations where the camu tree grows. As we mentioned, a little bit of this superfood powder goes a long way with 1/4 - 1/2 teaspoon providing for your daily vitamin C requirements, depending on your calorie intake. Because it tends to have a sour slightly astringent taste it is often mixed into fruit-based smoothies, juices and sweet foods or desserts. 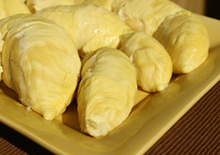 It is an excellent addition to lemonade, ice creams, kefir and tart citrus flavored treats, like our lemon bar recipe. It works synergistically with other superfoods, like medicinal mushrooms, MSM and aloe vera, to increase their potency and effectiveness. These suggestions may vary depending on each individual situation and calorie intake. Also, certain health conditions may increase general vitamin C requirements significantly. Extremely high amounts of camu may cause loose stools or diarrhea in some cases. 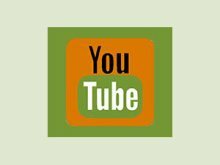 Always seek the advice of your physician or health care provider before taking camu camu when pregnant, nursing, taking prescription medications or when a serious medical condition is an issue.